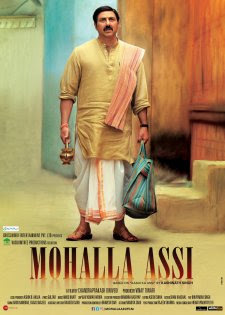 Mohalla Assi Hit or Flop : Box Office Collections - Checkout Box Office Verdict, Trailers, songs, lyrics, release date and collections of Sunny Deol and Sakshi Tanwar starrer Mohalla Assi. The film is directed by Dr Chandrakprakash Dwivedi. Mohalla Assi released in India on 16th November 2018.